The Museum of Montserrat opens the autumn season with a retrospective dedicated to the sculptor Josep Salvadó Jassans (Alforja, 1938 - 2006) to commemorate the tenth anniversary of his death. 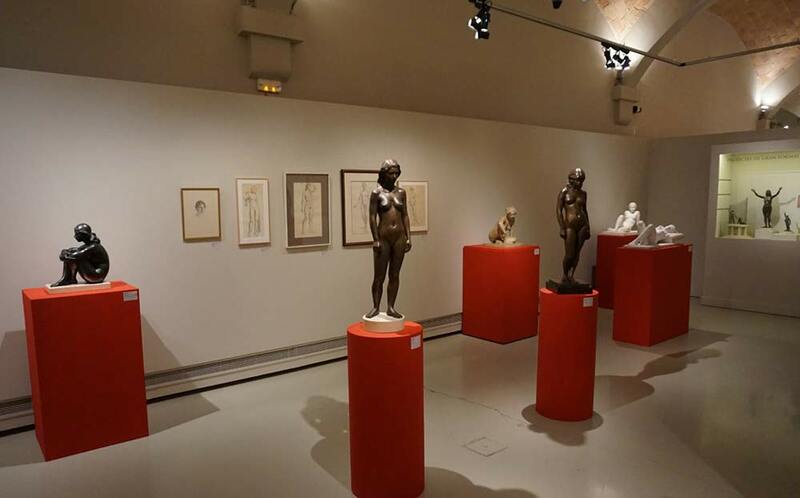 The exhibition, which pays homage to the person and the artist, is the fruit of the work of the historians Jorge Egea and Adrián Arnau as curators, with the support of the family Jassans, who has lent a great part of the works which are now shown. Entitled Imagined Greece, it consists of 50 works that illustrate the main arguments of Jassans’ creation. The exhibition is an anthology of the sculptor’s work analyzing it from a perspective which wants to emphasise both the artist’s thought and his creative philosophy. It shows supplementary aspects of his work, like his drawings, his paintings and his unachieved projects. It also includes technical and conceptual aspects of the sculpture creation’s process, inherent to the know-how of the sculptor’s job, educated according to the best of our figurative traditions. Reference to Greece has always been a constant in Jassans’ works and words. Greece as a model and ideal of perfection; Greece as a desire; Greece as a dream... The ancient Greeks and the equilibrium between the science and the nature, the intuition and the reason, emotion and stability... However, due to the circumstances, Jassans never visited this country, and his real contact with Greek sculptures was only through his journeys to Italian areas of the Magna Graecia, or visiting museums in other European countries. For many artists throughout history, visiting Greece became a milestone in their lives. Jassans’ Greece, however, was something unattainable; something anyone wishes but, for one reason or another, becomes inaccessible. Since a real Greece was not possible, it became an imagined Greece. Like the ancient Greeks, Jassans’ work is fruit of a high-level labour in the depiction of the human figure, mainly as a result of an aesthetic and philosophical reflection; of an idea of understanding and transmitting the antiquity’s legacy; a devotion for Greece; a desired, experienced and internalised Greece; a concept synthesised as the Mediterranean spirit, an expression so present in the formation of the Catalan new figuration during the second half of the 20th century. Disciple of Rebull, Jassans was a renowned artist and, of all his generation, surely the sculptor who created the most sensible, coherent and honest work within the principles of persistence of the classic spirit. Seldom have we found his thoughts written. As a professor of the University of Barcelona he knew how to transmit his knowledge of sculpture and his aesthetic ideas to many generations. After Montserrat, the exhibition moves to The European Museum of Modern Art (MEAM), an institution which has collaborated in the exhibition, like the Deu Museum in El Vendrell, Alforja’s City Council and the provincial government of Tarragona.